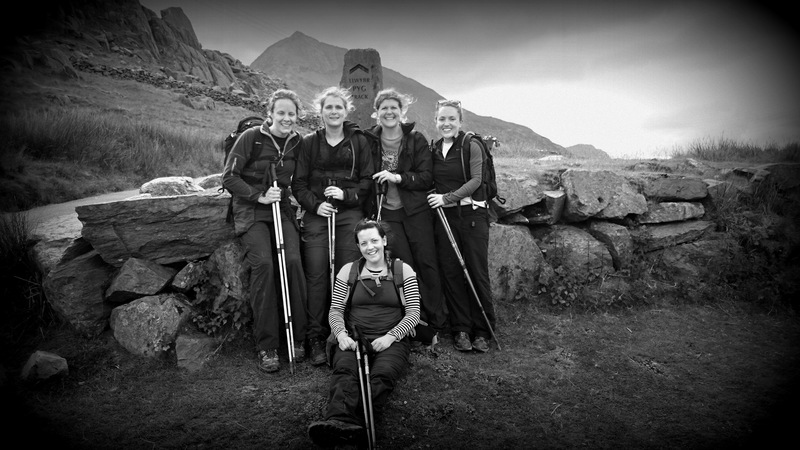 This is not strictly a TKD post but I was inspired by 5 ladies who completed the 3 peaks challenge last week. 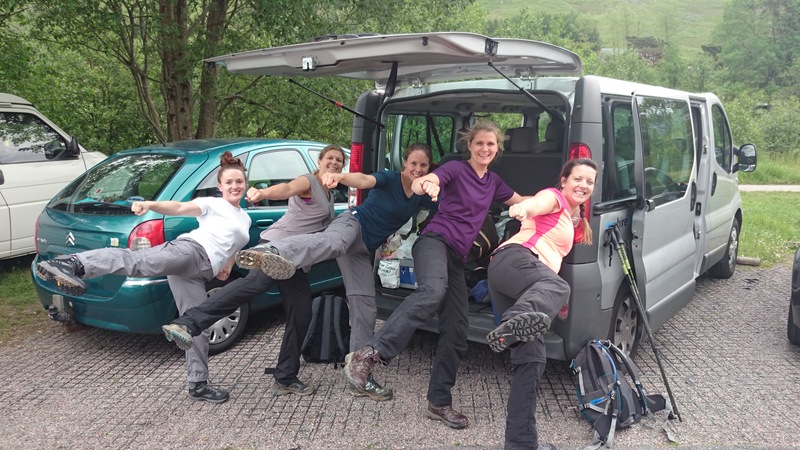 Miss Ware (1st degree) and 4 of her friends decided to climb the 3 highest peaks in Scotland, England and Wales in under 24 hours. It was close, almost too close. They did it in 23 hours and 48 minutes. It was an amazing feat and I was honoured to have been there to see them finish it. They ran the last mile to make sure they made it and promptly collapsed in the Snowdon car park. The most impressive thing was the perseverance and indomitable spirit that they showed. 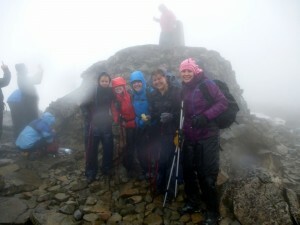 Especially after the first mountain, Ben Nevis. There was torrential rain and the top of the mountain was covered in snow. It took them over an hour longer than estimated due to the dangerous conditions. They got to the bottom and were absolutely drenched and not particularly happy. Everyone complained of their aches and then fell asleep in the van. I was concerned that they would be tempted to give up. It had started so horribly wrong. The plan was to get ahead of the planned timings so we wouldn’t be playing catch up later that day but the plan was now out of the window. But rather than give up or just let it get them down they jumped out of the van at 3am and smashed Scaffel Pike. Recouping the lost time at Ben. Now the mission was back on and in our favour. 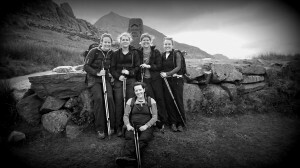 They hit Snowdon in an upbeat mood but that soon changed as they found it much harder going than expected. The previous 20 hours walking and sleep deprivation was catching up and the mountain was a lot steeper than the research had them believe. They were due to be down in 3.5 hours but they weren’t. And still radio silence. 4 hours and still nothing. Then a garbled radio message “how long?” – “30 minutes, move!”. Then another later, “15 minutes!!!”. I was starting to panic, I couldn’t see them anywhere and time was running out. Then they appeared running, well sort of running and sort of falling forwards. They did it. It was great to see and I am so proud that none of them gave up. They helped each other when they needed a little push or motivation. Whatever your goal, no matter how big a mountain it seems, never give up. The girls raised over £700 for Hospice in the Weald. Many thanks to all the TW TKD parents and students who sponsored. If you have not done so yet you still can here. This entry was posted in TKD, Uncategorized and tagged ITF, taekwondo, tkd on 12/06/2014 by Mr T.